A thirty minute introductory dance class containing ballet, tap and creative movement. Young dancers will learn the basic steps while learning how to follow direction and imitate movement in a positive environment. Engaging music is used to get those little bodies inspired to dance! The use of props such as Twinkle bears and hula hoops, enables the young dancers to use their imagination, creativity and, most of all, have fun! An age specific 45 minute class containing ballet, tap and creative movement/jazz. The purpose of the class is to introduce young dancers to the three styles of dance and inspire movement and creativity within a positive environment. Dancers will also learn basic steps and terminology in all three styles. For example, all dancers will learn what a "plie" is and how to demonstrate one. 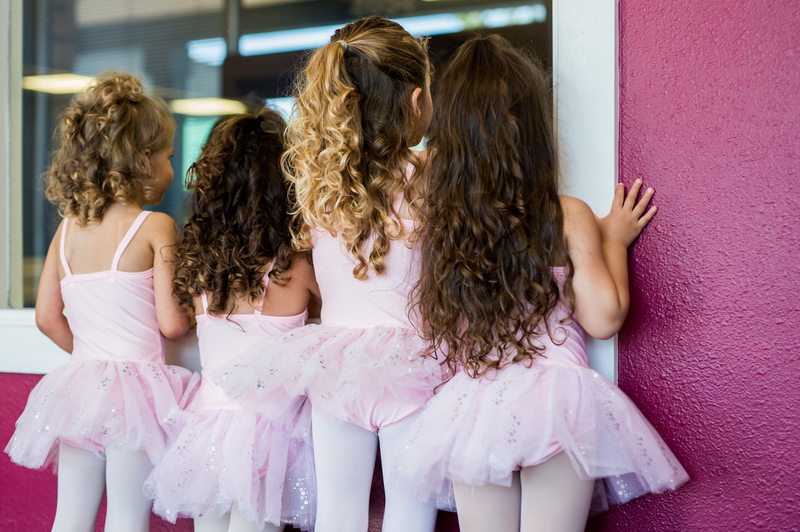 The use of fun, age appropriate music engages the young dancers' minds and bodies. The use of props such as hula hoops for the "freeze dance" makes the end of class the most fun! Placement Notes: Twinkle Star Dance 3-4 students must be at least 3 1/2 years old.